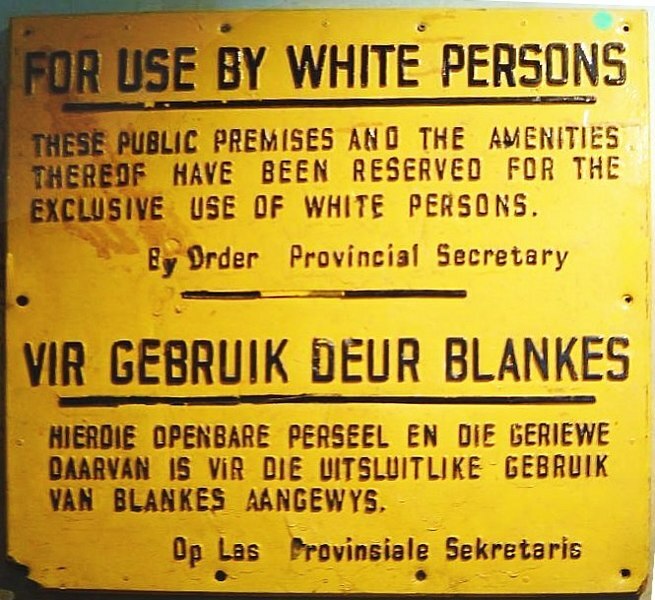 The backdrop of South Africa’s nuclear weapons program was its policy of apartheid, the race-based segregation system supported by the ruling National Party (NP) beginning in 1948. As South Africa grew more isolated in the international community as a result of the apartheid regime, its leaders decided that the building the bomb was crucial for national security. Nevertheless, as apartheid crumbled during the 1990s, South Africa became the first and only country to have successfully developed and then dismantled nuclear weapons. South Africa has one of the world’s largest reserves of uranium ore, also known as yellowcake. It began supplying the United States and the United Kingdom with yellowcake at the end of World War II, providing more than 40,000 tons over the next few decades. After the war, the South African government established the Atomic Energy Board (AEB), which conducted preliminary nuclear research while continuing scientific cooperation with the United States. In 1957, during the era of President Dwight D. Eisenhower’s “Atoms for Peace” program, the United States agreed to share a nuclear research reactor, SAFARI-1, and provide fuel for its use. 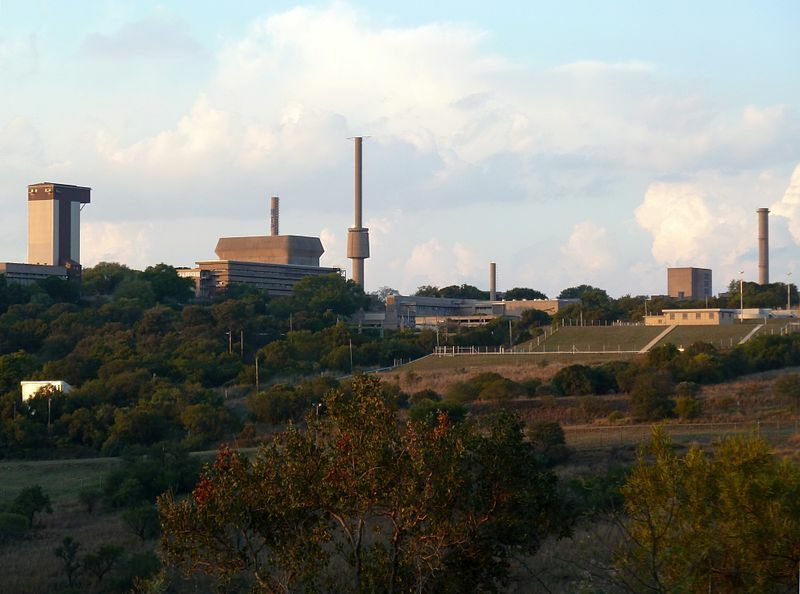 The AEB––soon renamed the Atomic Energy Corporation (AEC)––built a nuclear research center at Pelindaba near South Africa’s administrative capital, Pretoria. With the help of the United States, Pelindaba initially developed peaceful applications of atomic energy. As AEC President A. J. Roux explained in 1966, "We can ascribe our degree of advancement today in large measure to the training and assistance so willingly provided by the United States of America during the early years of our nuclear program when several of the Western world's nuclear nations cooperated in initiating our scientists and engineers into nuclear science." In the late 1960s, the AEC began to evaluate the possibility of building “peaceful nuclear explosives” (PNEs) for construction projects, similar to the United States’ Project Plowshare. It was during this period that South Africa first began exploring cooperation with Israel. Israeli Atomic Energy Commission chairman Ernst David Bergmann visited South Africa in 1967. The AEC officially approved investigative work on nuclear weapons in 1971. During the next decade, however, South Africa found itself increasingly isolated in the international community. In 1973, the United Nations General Assembly passed Resolution 3068, which called the apartheid regime “a crime against humanity.” The United States withdrew its support in 1976, when South Africa refused to sign the Non-Proliferation Treaty (NPT), and stopped supplying fuel for the American-built SAFARI-1 reactor. In 1978, the United States passed the Nuclear Non-Proliferation Act (NNPA), prohibiting the trade of nuclear materials and technology to countries which had not ratified the NPT. Additionally, Cuban forces began to arrive in neighboring Angola in 1975 to fight in the Angolan Civil War. This action prompted guerrilla warfare with South Africa, which at the time controlled neighboring Namibia. Supported by the Soviet Union, the Cuban troops would peak at 50,000 soldiers during the 1980s. The South African government saw an atomic bomb as a viable option for ensuring national security. Vorster approved the development of South Africa’s nuclear weapons program in 1974. 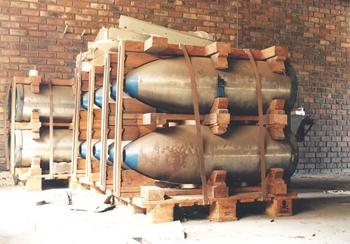 The South African AEC planned to build a uranium gun-type bomb similar to the “Little Boy” bomb dropped on Hiroshima, which would not require plutonium or high explosives. The AEC constructed the uranium enrichment Y-plant––also known as the Valindaba site, a Zulu word meaning “about this we do not speak at all”––adjacent to the Pelindaba research center. The AEC also prepared a nuclear test site at the Vastrap military base in the Kalahari Desert, where engineers drilled two test shafts into the ground over 700 feet deep in preparation for an underground test. In 1977, however, the AEC had only developed a rudimentary device which lacked a core of HEU. For this reason, historians believe that a planned 1977 test was intended as a “dry run” to experiment with the gun-type bomb design rather than an actual detonation. Before the test could take place, however, Soviet and American satellites produced photographic evidence of the test site. As one U.S. official affirmed, “I’d say we were 99 percent certain that the construction was preparation for an atomic test.” Up to this point, the South African nuclear program had been a closely guarded secret. Due to international pressure, the South African government canceled the test and ordered the dismantlement of the Kalahari test site. The UN Security Council nonetheless announced an arms embargo against South Africa in November 1977. In wake of the canceled test, the state-owned Armaments Corporation of South Africa (ARMSCOR) took charge of the nuclear weapons program, replacing the AEC. The Y-plant produced its first HEU in 1978. The South African government subsequently developed a nuclear deterrence plan which consisted of three phases: 1) deny the existence of the nuclear program; 2) if threatened, give a covert acknowledgement of possessing nuclear weapons, perhaps to the United States; and 3) if these steps fail to mitigate the threat, offer a public demonstration, like a nuclear test. As one South African official later explained, they would only have demonstrated the bomb if “the country found itself with its back to the wall.” In practice, South Africa’s nuclear program never went beyond the first stage. 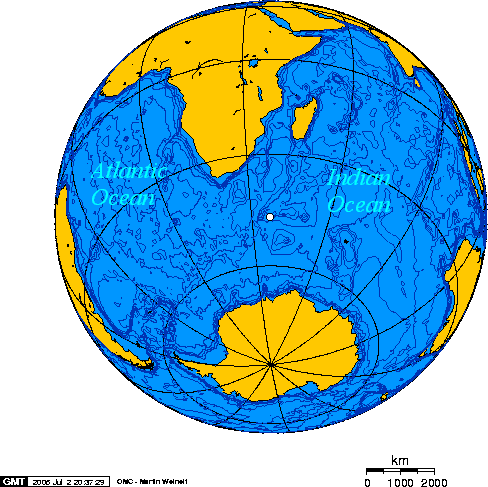 On September 22, 1979, a U.S. Vela satellite recorded a double flash of light in the Indian Ocean approximately 1,500 miles from Cape Town, a South African coastal city. Although it has never been confirmed, the so-called Vela incident was probably the result of a nuclear test aboard a ship near the Prince Edward and Marion Islands. Given that South Africa did not have enough HEU for a bomb at the time, it was most likely a joint South African-Israeli test. South Africa, however, has denied any involvement in the incident. It was not until the early 1980s that South Africa finally built its first operational U-235 bomb, codenamed “Melba.” Like the American “Little Boy” bomb, the uranium gun-type device did not require a full-scale nuclear test to confirm its capability. At the newly built Kentron Circle Facility (also known as Advena), engineers worked to mount bombs on intermediate-range ballistic missiles with the help of Israeli technology, although none were ever operational. At its peak, the South African nuclear program was producing enough HEU to build one or two bombs per year. At the time of its disarmament, South Africa had managed to produce eight rudimentary bombs: six operational, one under construction, and one for training purposes. South Africa briefly considered a nuclear test in 1988, when tensions on the Angolan-Namibian border grew particularly high. Although South Africa did not admit to having developed nuclear weapons at the time, Foreign Minister Pik Botha announced that “South Africa had the capability to make a nuclear weapon should we want to” (Horton 7). A ceasefire in December 1988 ended any possibility of a test. 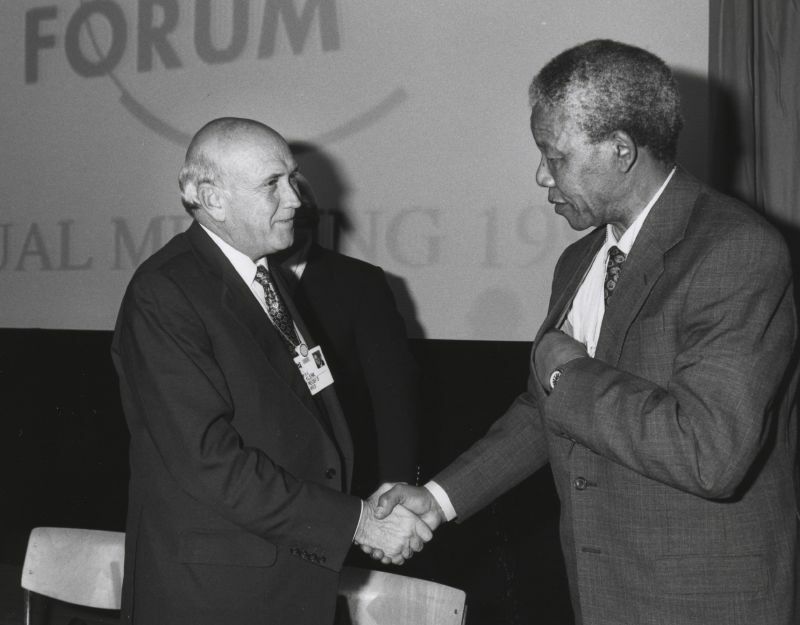 South Africa ended its nuclear program after the election of President F. W. de Klerk in 1989. Disarmament was closely linked with the end of the Cold War and the dismantlement of the apartheid regime. Among the most important political events were the release of anti-apartheid leader Nelson Mandela in February 1990 and the independence of Namibia one month later. De Klerk ordered the dismantlement of all six operational gun-type nuclear bombs and the safe storage of their HEU cores. All nuclear facilities were converted to peaceful purposes, and the Y-plant was shut down completely. On July 10, 1991, South Africa signed the Nuclear Non-Proliferation Treaty. In September 1991, the government agreed to the Comprehensive Safeguards Agreement with the International Atomic Energy Agency (IAEA), and allowed inspections. On March 24, 1993, de Klerk gave a speech to the South African Parliament in which he admitted that South Africa had developed and dismantled nuclear weapons. Although he acknowledged “a limited nuclear deterrent capability,” de Klerk denied any cooperation with Israel in the development of South Africa’s nuclear program. Horton, Roy E. Out of (South) Africa: Pretoria’s Nuclear Weapons Experience. Champaign, IL: University of Illinois, 2000. Masiza, Zondi. “A Chronology of South Africa's Nuclear Program.” The Nonproliferation Review (Fall 1993): 35-55. http://www.nuclearfiles.org/menu/key-issues/nuclear-weapons/issues/proliferation/south-africa/masiza_chronology.pdf. “South African Nuclear History.” The Wilson Center Digital Archive. http://digitalarchive.wilsoncenter.org/collection/95/south-african-nuclear-history. Stumf, Waldo. “Birth and Death of the South African Nuclear Weapons Programme.” Atomic Energy Corporation of South Africa. The Federation of American Scientists. September 28, 1995. https://fas.org/nuke/guide/rsa/nuke/stumpf.htm.